They sing, they dance, they play all their music live, bringing the atmosphere of 'The Old Bull & Bush' to you. All the old favourites and the story of London's pearly King's and Queens. With 12,000 pearl buttons on their suits they travel anywhere with an authentic picture of London. 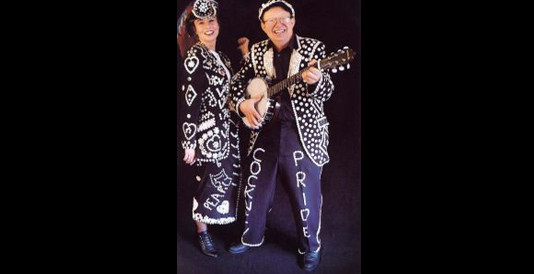 They are available as Pearly King & Queen, or with full Cockney Pride Show including, Piano, Banjo, Guitar, Drums, Vocals, flags & bunting, plus lights & top quality P.A. system.